Pelican will help you save energy! …80% of thermostats in the commercial industry are either not scheduled, not scheduled correctly, or are connected to HVAC units that aren’t performing properly. By simplifying scheduling and providing historical HVAC unit trending data, your building’s HVAC energy usage can be reduced as much as 30%. This typically equals a 12% reduction in your total building’s energy costs! Pelican collects your building’s real-time temperature as it moves throughout the day. It also collects set-points and monitors how your HVAC unit is actually running. All of this data allows you to better understand your specific building and save based on your specific needs. The Pelican Solution provides real time monitoring of HVAC equipment operations. If an equipment issue is detected thermostats can generate notifications to help system managers identify and respond to problems quickly and pro-actively. Each thermostat monitors their unit’s cooling and heating performance during normal operating cycles. They can also monitor extreme temperatures in conditioned spaces. During calls for heating or cooling each thermostat monitors the rate of temperature change in its conditioned space. If the temperature does not trend in the correct direction, for longer than 1 hour, the potential for an HVAC issue exists. Failure to trend in the correct direction means the HVAC equipment needs to be serviced or, even though the unit is operating properly, it is unable to keep up with the heat or cool load in the space. The system administrator can set a sensitivity level to adjust these notifications being received. These sensitivity levels combine the monitored rate of temperature change and the difference between current temperature and the active set point. The system will only send notifications if the space temperature is outside a defined range from the active set point. In facilities that have simultaneous demand for both Heat and Cool the Pelican System implements a sequence of operation to assure that all zones are serviced. Pelican’s wireless Internet Programmable Thermostat is an affordable alternative to the wired HVAC building controls of the past. Utilizing standard thermostat to HVAC unit wiring, Pelican is able to offer a retrofit friendly thermostat that is affordable to both purchase and install in any commercial building. The Pelican thermostat is able to control up to 3 stages heat, 2 stages cool for Heat Pump systems and 2 stages heat, 2 stages cool for conventional. It also comes with an innovative 3-wire module that allows for installations in limited wiring situations. The easy to understand, large display, shows current temperature and active settings. Intuitive buttons allow you to set the desired temperature for heating, cooling, and fan modes. It also has a 15 second light button to illuminate the display panel for night viewing. And yes, Pelican’s thermostat has auto change-over. Initial thermostat configuration and ongoing scheduling management is done through your own Pelican web-app. Pelican’s web -app provides you with an intuitive control screen for managing multiple thermostats. In addition, historical temperature and HVAC usage data can be reviewed at any time. Pelican’s wireless Internet Programmable Thermostat continuously monitors the health of your HVAC systems. This advanced feature will send an immediate maintenance alert to authorized personnel via email or text message at the first sign of a problem. Pelican’s Zone Controller (Z8) is the first of its kind intelligent wireless commercial HVAC zone controller. 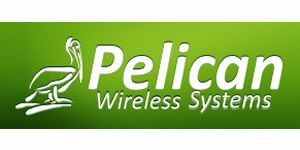 It can talk to up to 8 zones using Pelican’s innovative wireless mesh network. There are no strings attached. No proprietary programming contracts, hourly service calls, or updates that cost a fortune – Pelican provides all support and upgrades for free. The Z8 out performs in comfort and management through simplicity. The Z8 features the ability to control up to 3 stages of Heat and 3 stages of Cool and uses supply, return, and space temperatures to properly maintain comfort in each zone. It has built in intelligence to manage static duct pressure through either controlling a 0-10VDC modulating by-pass damper or a 0-10VDC variable speed fan. It also has a built-in 0-10VDC output for controlling a modulating economizer damper based on outside air temperature. Through your Pelican web app you will be able to monitor your entire HVAC unit’s operations, such as: Supply Air Temperature, Return Air Temperature, Static Pressures, Damper Position, and much more.